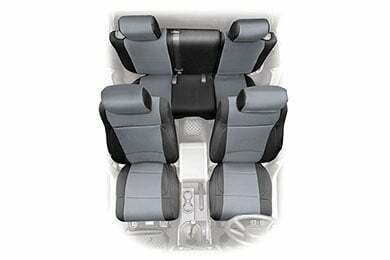 Smittybilt 471630 - Smittybilt Jeep Neoprene Seat Cover Set - FREE SHIPPING! comfterbal fit good and exselent serves. 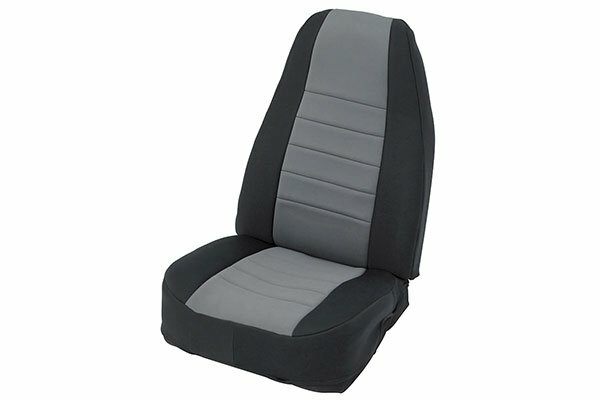 It took over a month to receive these seat covers for my 2014 jeep. I returned the all black seat covers and exchanged them for the black and red. I was charged $10.00 for the return of the black ones. The seat covers are functional, but the shade of the red compared to the color of my red jeep look almost pink. I'm not planning on returning them again because of the time and cost it took for the exchange of first set I purchased. Purchase from a store if you can to avoid return problems! Reference # 753-515-893 © 2000-2019 AutoAnything, Inc.